Finding a job is a tough endeavor. It requires fervent moving up and down to keep up with the slippery opportunities. For a person with a disability, that is a nightmare. However, there is a safe haven for the disabled in this raging storm of job-seeking. It is the program of Vocational Rehabilitation in Florida. I will take you through the purpose of the program, its services and how it will help you secure and retain employment. The idea of Vocational Rehabilitation dates back to the First World War. Many soldiers who had been disabled in the war had difficulty acquiring and adjusting to civilian employment. The Soldier’s Rehabilitation Act was founded to assist them to get jobs. Later, the civilian Vocational Rehabilitation was launched to help not only those disabled in wars but also those who acquired it at birth, by accidents or through incidents at work. 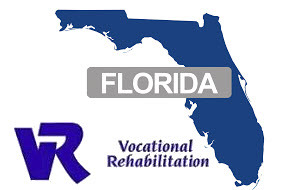 The Florida Vocational Rehabilitation Program; founded in 1925 and based in Tallahassee has been actively impacting the lives of the disabled for decades. It is a federal-state program that gives assistance to those disabled physically and mentally and enables them to acquire and maintain jobs. Consequently, it helps employers to acquire workers with their desired qualifications at ease. Its scope of assistance spreads out to disabled people of all ages. One of its great advantages is the individuality it implies to its clients. It takes each person’s qualifications, interests and life goals into consideration and uses these qualities to link people to the right job. This feature of a division is unique to Florida. These two programs provide ample services to clients of all types. Provide personal supplies and learning materials. The VR has several programs that provide distinct services that ease the way to an achievable life. This branch focuses on people with disabilities who find it very difficult to compete for and secure employment. Job coaching is training how do perform particular duties that suit one’s ability and it is an important tool in helping one get a job. The program also does follow-ups to ensure one is comfortable with the job and helps sustain it. It is a voluntary Social Security Association program that provides social insurance to disabled people. If you are qualified to acquire social security, you are given a ticket which you may present to the Vocational Rehabilitation in order to receive the services they offer to ensure you get the help that will make your stay comfortable. This is a program that facilitates the collaboration of the businesses and the federal government in Florida to give a hand to people living with a disability. It enacts other policies of Florida Vocational Rehabilitation such as Independent Living and provision of technological devices that will be of great help to them. It is a branch that deals with the category of people who have a hearing impairment as well as the blind. It facilitates the provision of medical care to them, helps out students to acquire tuition fees and the reading materials they need. They even offer vocational training to them to help them interact more efficiently with others and find jobs, hence achieve their independence. Provision of devices like hearing aids is also a service that the program proffers. These are non-profit centers throughout the state of Florida that are privately owned and have individual-based services, located in most local communities. It will help you achieve an independent life by helping you get an education that will make you qualified to get a job and earn your own money. Truly, a sense of self-dependence is very fulfilling, and everyone deserves a chance at that. Migrant farmers are workers who require being away from their permanent homes to be able to gain employment in agricultural workplaces. Seasonal farm workers are nomads; they travel as they seek jobs and settle temporarily where they find one. Disabled farm-workers are supported by the program, which sees them through getting jobs for their upkeep and that... ...of their families. Working in a Vocational Rehabilitation facility is a wonderful opportunity. It not only gives you a chance to achieve professionally, but it also exposes you to a diversity of humanity. You will get to learn firsthand about living with disability, appreciate your clients as you experience their uniqueness and get to help them cope with life. The knowledge that your job aims at making someone’s life better is very fulfilling. There are various jobs in a VR centre, and each is equally important. This is a worker who helps people who have a physical and mental disability. He gives them psychological advice and walks them through ways to cope with life and how to prepare for employment. This is an assistant of the counsellor who ensures that the counsellor is available for communication with the client. They also make schedules and book appointments for services the clients require. The staff interpreter is the mediator of communication between the counsellor and the client. Accurate and efficient communication is vital in counselling. Miscommunication causes misunderstanding which may lead them down the wrong path. As a staff interpreter, you will act as the bridge between the two. If you would like to apply for either of these positions, you can simply apply online to People First Service. This online application is time-saving and minimizes mistakes by showing you the point of error and informs you if your submission went through. In the application form, you will be required to fill in all contacts such as your address, education level, prior experiences in the field and supervisions, then fill out a Questionnaire for Internship or Sign Language Internship, depending on the position you are aiming for and also, a resume. 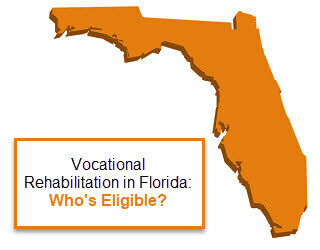 There are personal advantages of being employed in the Florida Vocational Rehabilitation Program. Health insurance and supplementary insurance. Florida VR program also offers internship opportunities. For students who specialize in Sign Language Interpretation or counselling and rehabilitation of the disabled, the VR presents a great opportunity to apply their knowledge to the field and learn under the tutelage of experienced professionals. Though most of the information about Florida VR Program has been discussed, there are some questions people usually ask that I would like to address. How do I know whether I am eligible for Florida VR services? Basically, the eligibility criteria are people with physical or mental disabilities who need assistance to secure a job. If you have a ticket to work, that is, if you are under a social security program, you are also eligible to apply for the VR. How do I contact the VR Program? You can find information about the program from the customer webpage. The webpage provides phone numbers, emails, and contacts to connect with telecommunication services and social media sites where you may find them. You can visit the nearest VR centre and acquire the information you need. Will I be expected to pay for the services? This depends on the level of your ability. The VR will determine whether you will pay partly for the vocational services depending on your salary. Some clients receive the services free of charge while others have to take part in contribution. This is the Client Assistance Program. It’s a program that serves people with disability by educating them about their rights and helping transition aide students. It is independent from the two divisions of Vocational Rehabilitation, but it has the basic goals of providing help to the disabled. It also assists people who require help in matters of the law such as an attorney if they experience problems communicating with their counsellor or agencies or have a court hearing. What is Order of Selection? This is a strategy used to group eligible individuals according to how significant their disability is. A waiting list is drafted, and the most significant cases are given the priorities. The individuals with less significance will await their cases are dealt with. As we all struggle through life, we always need a helping hand. People living with disabilities need that hand especially when it comes to competitive job-seeking. The Florida Vocational Rehabilitation Program has seen this struggle and has come in to ensure they suffer no more. It is the open door through which they will have a chance to build a successful future. It is not just a program, but a life-changing experience as well.